When it comes to oral cancer mortality rates, Decatur Smiles reminds you that two numbers are key: 40% and 90%. 40% of individuals who receive a late-stage diagnosis die within five years. However, the survival rate for early stage diagnosis is 90%. Cancers that start in the mouth (or oral cavity) are labeled oral cancers. The oral cavity is comprised of the inside tissue of the mouth and cheeks, the lips, the tissue below the tongue, the roof of the mouth, and the front two-thirds of the tongue. “Why only two-thirds of the tongue?” you might ask. Because the back third of the tongue is considered part of the throat. Throat cancers, or oropharyngeal cancers, start in the oropharynx, the part of the mouth behind the parts considered part of the oral cavity. The oropharynx is composed of the soft palate, the tonsils, and the throat. Some oral cancers cause symptoms which prompt the patient to see a doctor and others are found by dentists and doctors during exams. Thousands of lives could be saved every year if more men and women received regular screenings. A visual oral cancer exam is relatively quick and convenient, especially as compared to other cancer screening tests such as colonoscopies and mammograms. If an abnormality is discovered during an exam, the patient is referred to an appropriate specialist for further testing and diagnosis. Be proactive. Ask your dentist or doctor to carry out an oral cancer screening during each checkup or physical. 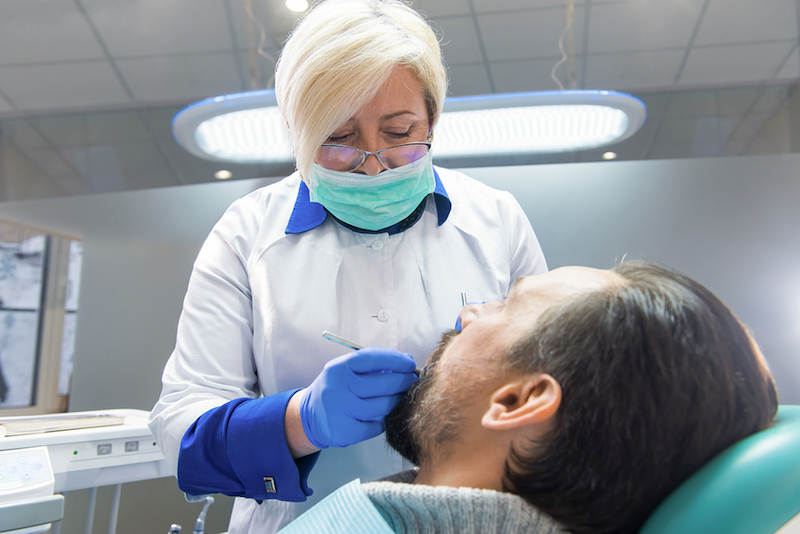 If you have one or more risk factors, it’s important to meet with your healthcare provider for counsel on oral cancer screenings and prevention. At Decatur Smiles, we provide oral cancer screenings. We also offer cosmetic dentistry. Make an appointment today.